Kendra Thornton: Travel advocate, TV spokesperson, PR businesswoman, proud wife and mama of 3. I am a long time travel expert who has been packing my bags and traveling the world since I was 3 months old! I've found my utmost desire in life is right here in my own home. I have taken my excitement for travel and brought it to you with some of my favorite travel tips and tricks. Enjoy! Wouldn’t it be nice to get away this summer and spend quality time with your family? You can experience an enjoyable retreat if you're prepared. This year, plan on relaxing more because I have some tricks to ensure your family trip is as delightful as ever. 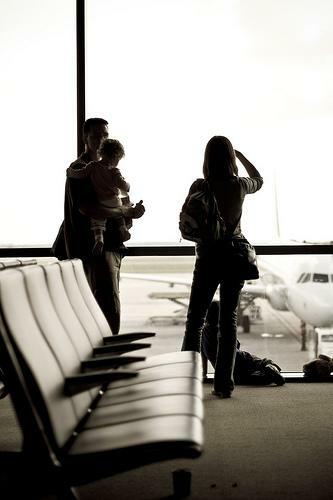 In order for your vacation to be hassle-free, fun and peaceful, it’s essential to plan ahead, particularly when it comes to keeping children content. Most children find comfort in schedules. The best way to provide familiarity is to live by your usual clock. Snack times, naps and play times can be adhered to if you think ahead. No matter what steps you take to ensure your trip goes smoothly, consider every family member’s needs. With a little planning, you can avoid the age-old question, “Are we there yet?” and enjoy the harmony of well-planned family vacation. If you’re stressed just thinking about planning this summer’s vacation, a family-friendly resort is the answer. At a family resort, you can please everyone while maintaining your sanity. Whether you want to lounge around a tropical wonderland or go on a hiking adventure, you’ll find a wide range of resorts centered around family entertainment. Many even provide quality kids programs that allow parents to enjoy a nice meal together while their kids participate in supervised excursions on the same premises. The highlight of my family’s stay in Hawaii was definitely our Honolulu resort that had exotic animals on site along with a wading pool for our smallest. From indoor water parks to spa treatments, resorts provide happy times for all. It is easy to turn the packing process into an unorganized gala that lasts days. Not only is this inefficient, it’s unnecessary. Sticking with the fundamentals is the best way to avoid chaos. I know when I traveled without children, I would often use my carry-on as an over flow bag for anything that I couldn’t cram into my suitcase. This isn’t ideal – packing well in advance will allow you to make measured decisions about what will actually be needed if someone has a meltdown mid-transport. If your children are old enough, have them each carry a small backpack or rolling bag. This will help keep you organized and spread out the load a bit. 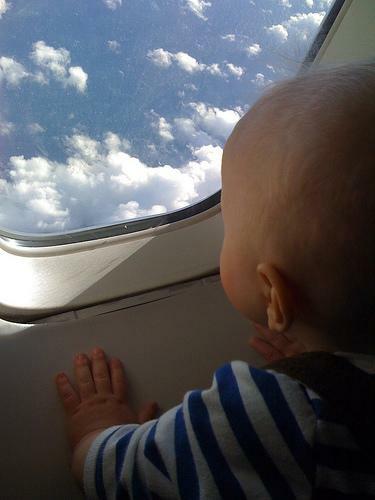 Whether you’re traveling by airplane, boat or car, the key to a happy child is distraction. Although you likely wont use it throughout your vacation, a portable DVD player is great for the travel portion of your trip. Pack your child’s favorite movies and television shows; you can likely rent some from the library for free instead of purchasing new ones. You can also download audio books so that your junior travelers will have various forms of entertainment. Don’t forget to supply headphones. You don’t want your tranquil drive through the country becoming your noisiest nightmare. Traveling on an airplane can be overwhelming for young children. If you expect the unexpected, you can avoid any distressing moments. If you have a first time flyer on your hands, prepare them for this new adventure with a new airplane book. Let your little one sit next to the window, and encourage excitement and interest. Make sure your child eats and drinks before boarding, and bring some ginger or mint based stomach-settling snacks. Keeping your seating area well ventilated will also help calm hot flashes of panic.